The beauty of a resume is that it can be modified and presented in a way that would appeal to the recruiters. Now if you analyse this perspective, then it would be evident to you that it is this very characteristic which makes resumes capable of being made target-specific. In the common tongue, this means that for every industry or work profile, the resume’s design can be modified and presented in a way that would justify the needs of the specific industry. 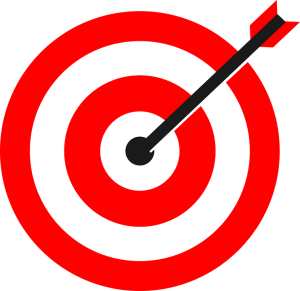 If you think targeted resumes are mere necessities, then you are probably wrong. These are mandatory requirements that are critical for your success in the recruitment processes. More than a portrayal of your expertise and skills, targeted resumes give a clear understanding of the specific abilities which make you best suited for the applied job position. It is this leverage which not only helps you to stand out from the crowd, but it also increases your chance of winning your dream job. Before you go about preparing a targeted resume, you need to understand the key elements that make it effective. These components may be the same for all resumes, but it is the content that differs from them. Gone are the days of objective statements and professional summaries. These only distract the recruiter from the main sections of the application document. The trend of using minimalistic descriptions is catching on where the job seeker mentions his area of interest, his experience, skills and specific capabilities which would make him a key contributor to the organization while working in the specified job profile. Since this is the first section in the resume, it catches the attention of the recruiter and this increases your chances of being shortlisted for the interview rounds. Remember, not every competency would be a preferred asset in all industries. You need to analyse the industry trends and the specific requirements of the organization before you go about preparing a targeted resume for it. This will help you to arrange your competencies if you are not able to prepare it specifically for the targeted job profile. You should be able to identify which skill set is best suited to a particular industry. It needs to be presented first so that the recruiter’s attention would be grabbed by it on first sight. Some skills are a privilege in certain industries, while they may be considered non requisites in another area. So choose the portrayal of your skills wisely. It is best if you mention only the relevant and applicable experience which would help you progress on the desired career path. Mentioning notable positions of authority and providing details of projects undertaken to help you to gain leverage in most industries. Avoid mentioning any experience which has no relevance or does not add value to the targeted work profile as it would only create confusion in the minds of the recruiters. The structure or design of the resume is something that depends completely on your creativity. Ideally the resume should not be more than 1-2 pages in length so it is best to make optimal use of available spaces for creativity presenting data that will capture the interest of the recruiters at first glance. Trim away all those sections that hold no importance, such as hobby and interests. Hobbies would only be deemed useful where they actually help you in developing skills that aid your career and organizational contribution. This is the ongoing trend that we are witnessing in resumes today. Be it corporate or performance, visual resumes not only reduce the space used, but it also gives a visually appealing presentation to boring facts and data. I guess this approach was initiated with the belief that images do speak louder than words. Professional Resume Writing Services are really helpful when it comes to creating targeted resumes. Not only are they well versed with the trends but they have a sound understanding of each industry, which makes them the perfect choice for getting your resume developed by them. The experts usually have years of experience in managing and creating professional resumes and this comes in handy when job seekers wish to get a targeted resume for increasing their chances of securing their dream jobs.